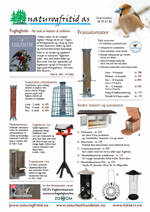 Boka inneholder informasjon fra 180 lokaliteter. Blant annet fra Gibraltar, Donana og Monfrague. Guiden har detaljerte kart, systematisk liste over regionens arter. Inneholder også - Oppdatert liste over rariteter - Tips om hvordan en kan bruke internet som hjelp for fuglekikking i regionen - Generell informasjon for turplanlegging, inkludert overnattingstips. Southern Iberia is in the top rank of European birding hotspots. The third edition of this popular book, first published in 1994, continues to ensure that visitors can make the most of the region's many attractions. Regular visits have brought the information on all sites up-to-date: maps, access details and species lists have received particular attention. Popular localities such as Doñana, Monfragüe and the Strait of Gibraltar get prominent treatment but the reader is encouraged to wander further afield to visit other, less well-known but rewarding sites, including a considerable number of additional localities which are new to this edition.